Having been practically raised on arcade and console video games I've wanted to build a MAME system for a really long time. I would have preferred building a full sized stand up arcade machine, but I'm severely space limited and there's no room for one in my home... on the plus side this machine is totally portable. 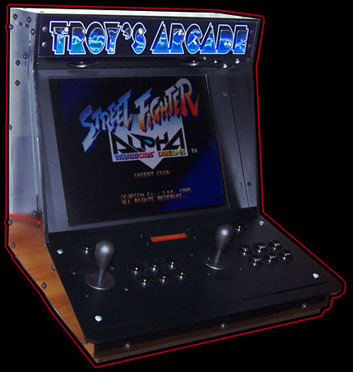 I had originally planned on building a stand up style arcade machine, but early into the project build I decided that the parts I had on hand were better suited for a small modular living room entertainment PC to connect to my 46" 1080P LCD TV. Originally titled "Hell's Illusion", this HellRaiser sequel mod took almost a year and a half to design and create, had I known starting out that it would take so long I probably wouldn't have done it at all - on the plus side I learned a lot during the build and it turned out great, so I figure it all evens out. 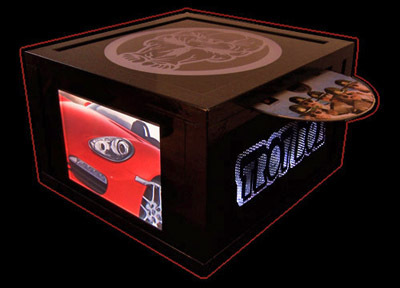 The plan was to entirely conceal the computer through the inclusion of a cool illusion section inside a scratch built eight inch cube case... a worthy follow-up mod that runs silent, has two built in displays and wireless remote controlled internal lighting. 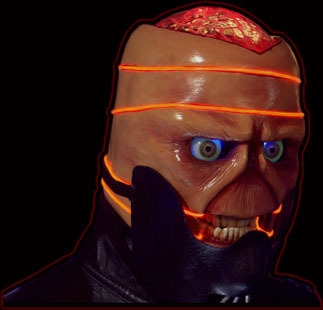 After MOBY2 I was ready to try making a computer into something different, the HellRaiser Cenobite PC sculpture is as different as things get. I did not want to base the design on any of the existing HellRaiser characters and instead sketched out a design of what I imagined a case modder turned cenobite would look like. The machine is completely water-cooled with a ton of custom details and features including remote controlled animatronic UV eyes, 3D oven formed acrylic windows and a laser array shooting out of the head. Atomic MOBY was all about excess, I overloaded that case full of every type of lighting and mod available at the time, but for the sequel I decided to tone it down - while still staying true to the original. The mods performed to this case are some of the finest I have ever done, they required a lot of thought and planning to get everything to line up and fit together properly. 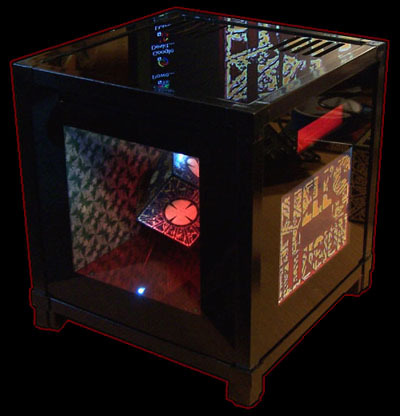 Way back in the year 2000 I saw my first computer case mod and decided to try doing it. 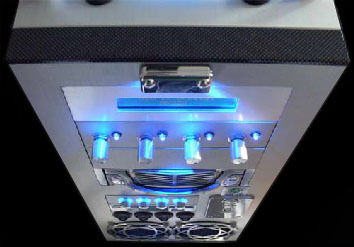 I had already been building high end computers for myself and friends for a few years - being an artist modifying the enclosure seemed a natural progression, so I bought a Dremel and a high end aluminum case... this is where my modding started.